Data from three genome-wide association studies published Nature Genetics from a number of international researcher teams have identified 66 blood-pressure related loci, of which 17 were new and 15 harbored multiple distinct association signals. The published research “The Genetics of Blood Pressure Regulation and Its Target Organs from Association Studies in 342,415 Individuals” also provided new evidence that biochemical signals controlling blood pressure may spring from within cells that line the blood vessels themselves. Prior to the new studies now reported, notes Dr. Chakravarti, about 90 sites in the genome had been identified as likely linked to blood pressure regulation. But in sum, they could not explain all variations in blood pressure measurements. To find what the scientists were convinced had to be more sites, researchers from 265 institutions worldwide banded together to perform the genomewide association study. Participants' genomes were examined on microarrays, which had been customized to analyze nearly 200,000 sites simultaneously in the genome where variations from person to person were suspected to have some effect on blood pressure. They then compared variants at the sites with information on each individual's blood pressure information to nail down likely associations. 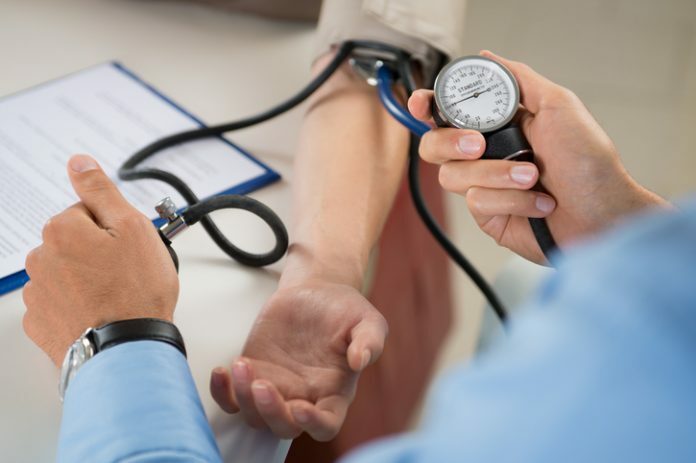 Georg Ehret, M.D., a research associate in Dr. Chakravarti's lab, crunched the numbers from all the study sites and found variants at 66 sites in the genome—17 of them newly reported—that had statistically significant associations with blood pressure levels. At the same time, Drs. Ehret and Chakravarti were also involved in another of the studies reported in the new issue of Nature Genetics. That study identified 31 additional and distinct new blood pressure-related sites and confirmed a further 39 that had been previously reported. It used data from 327,288 people and focused on rare genetic variants. Still, says Dr. Ehret, “even taking all the known variants together, we explain only about 2% to 3% of the blood pressure variability between individuals.” He estimates there are “hundreds or thousands” of blood pressure-linked variants still to be found and says identifying them will require studies with even more participants. One benefit of gathering those missing genetic puzzle pieces would be to enable a genetic test to predict whether a person is likely to develop high blood pressure and, if so, would suggest early intervention.